This is our February book for “read it once again”. I like this book. It’s a very sweet poem about love. 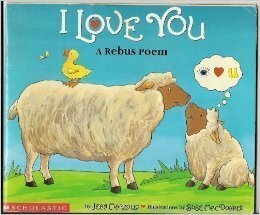 I perfect book for Valentine’s Day. 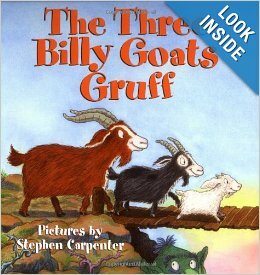 Our book for January was ” The three Billy Goats Gruff”. I drew the three billy goats on our dry erase board, and I was not happy with it. But, what do you expect when my heart wasn’t in it. 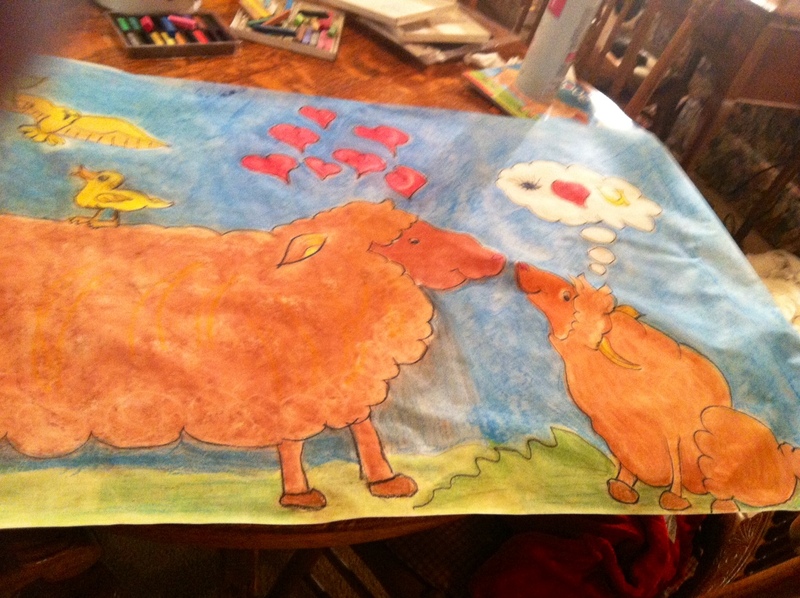 Any hoot, I was more than happy to do a banner with some of the illustrations of “I Love You” . 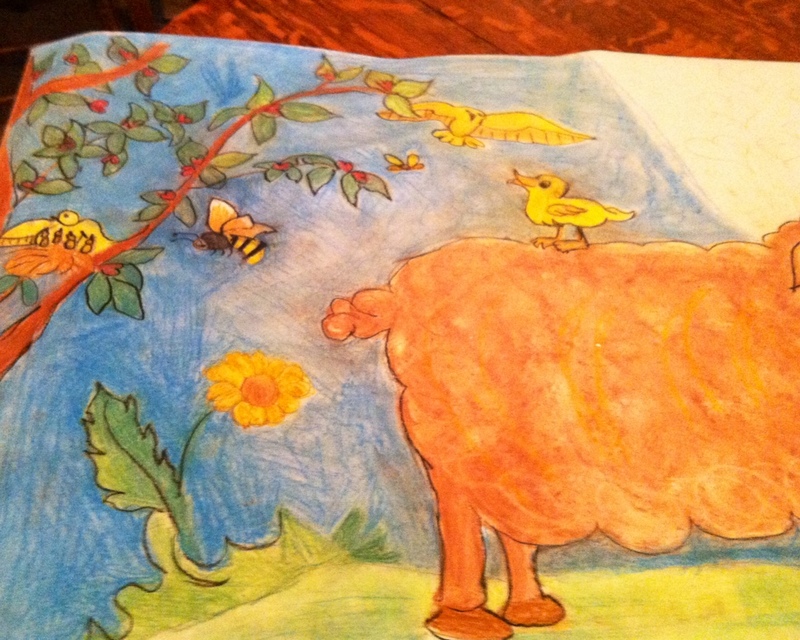 This photo hasn’t captured the entire page I drew, but it is most of it. Here is a better breakdown of the entire picture, of course it takes 2 photo’s. I thought it turned out good. I did it in record time, but then when you are really into something and love it…. it comes fast!